The sheer number of effects pedals for bass players is mind-bogglingly vast. Bottom dwellers are using all manner of effects for bass these days. Of these effects, the category generating the biggest buzz? Bass fuzz pedals. Players want them and builders are filling the demand. Set with all knobs at 12 o’clock, as the manual suggests, I click the Bass Fuzz Deluxe into gear: Fundamental? Intact. Low end? Right where I left it, solid. Okay, now that that’s out of the way, I notice that the straight up setting sounds great: furry, articulate, gnarly. Dialing everything way back leaves a nice suggestion of the effect in the background. As I fiddle with the knobs individually, (Dry, Wet, Tone, and Fuzz,) I find the Bass Fuzz Deluxe does such a good job at keeping the uneffected tone of the bass so intact that it almost sounds like the signal is split between two amps. That is, you really are adding the fuzz to your tone rather than making your tone fuzzy. The range of this fuzz box is rather broad. I was able to coax out Geddy-ish stuff, classic Larry Graham funkiness, pegged VU meter hairiness, and full on noise. Through all of which, the low end was unharmed. I even let a power chord ring out and was treated to almost infinite fuzzy sustain with nice harmonic overtones. Feedback wars with the guitar player? I’m in! 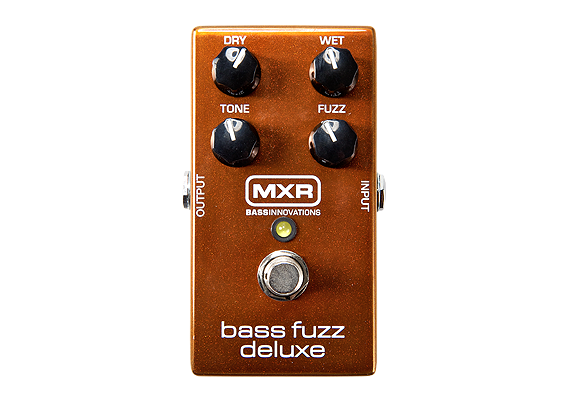 Lastly, it’s important to note that I tried the MXR M84 Bass Fuzz Deluxe pedal through an amp with a 2-way horn selector, either on or off. For testing sake, I kept the horn on. A fuzz through a horn usually sounds like a circular saw cutting pavement , ear-splittingly brutal. But the M84’s blendability and Tone knob takes care of that. That means that you can keep the sparkle of your cab in use for slapping and such, and kick in the Bass Fuzz Deluxe for a super useful tone departure without the harsh result. The MXR Bass Innovations group has nailed a classic fuzz pedal design that would be a welcome addition to any bass player’s pedal board. Is it the be all end all fuzz pedal for bass players? No pedal does it all, and tone is subjective. Your style and technique play a big part too. But, if you want to add a vintage fuzz tone to your arsenal without compromising fatness, the MXR M84 Bass Fuzz Deluxe is a solid choice. UPDATE. I was just contacted by Chad Beeler and he let me know there is a special going on with this pedal! Here are the details! 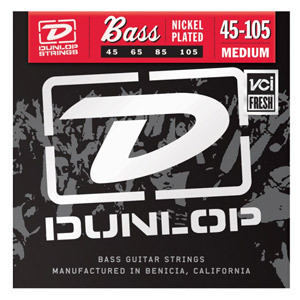 “Buy Any MXR Pedal from Bass EFX now until March 15 and get a free set of Dunlop bass strings” There’s no coupon code necessary. Very well-done review. We need to have WAY MORE bass effects covered here. Especially when done by people who really know basses like this guest reviewer.